I was sent 3 books to review by author Jennifer Ward. 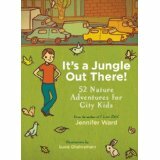 These books a small sized books that give children and parents ideas on how to get closer to nature and gives great ideas on things kids can do outside. 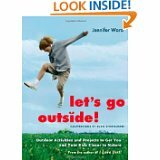 The books called I LOVE DIRT, IT’S A JUNGLE OUT THERE, and LET’S GO OUTSIDE are great educational books that gives all kinds of ideas on what they kind find outside if they look. From how to make a tree swing to bugs to learning about clouds these book have it all. Parents will even learn a lot from these books. With summer coming these books are ideal and also make great gifts. I was also sent an extra copy of each book to giveaway.